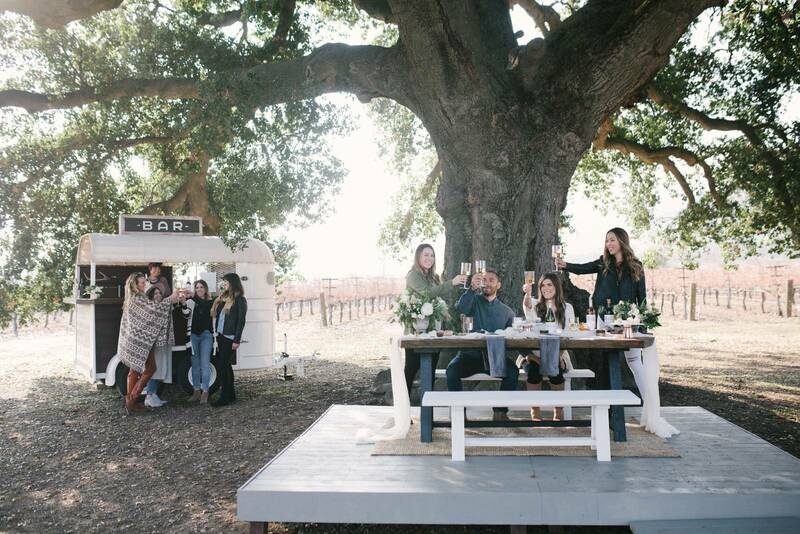 A sophisticated picnic styled shoot inspired by an intimate California wine tasting experience at the Paso Robles wedding venue and airbnb The Vintage Ranch. Featured on the recently released Netflix original show, "Stay Here," The Vintage Ranch was the perfect location for this elegant styled shoot that was brought together with design by Samantha Josette Events, the Tinker Tin Trailer Bar, and photography by Yvonne Goll Photography. 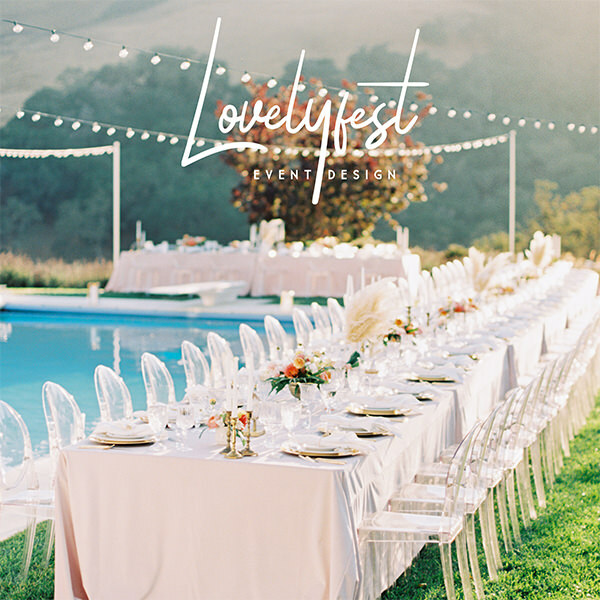 From the designer, Samantha of Samantha Josette Events: "I wanted to create an intimate wine tasting experience featuring local wedding and wine industry vendors. I went with a rustic yet high end vibe to attract guests who may want a little more luxury experiences rather than just a place to sleep." "My inspiration was the surroundings of The Vintage Ranch property. It is in the middle of a vineyard so wine tasting was a given, and the luxurious yet casul design and nibbles was inspired by the wedding vendors we have here in the Paso Robles area. I was given the table on a deck under the iconic oak tree as my canvas so I wanted to dress it up without taking away from its natural beauty. 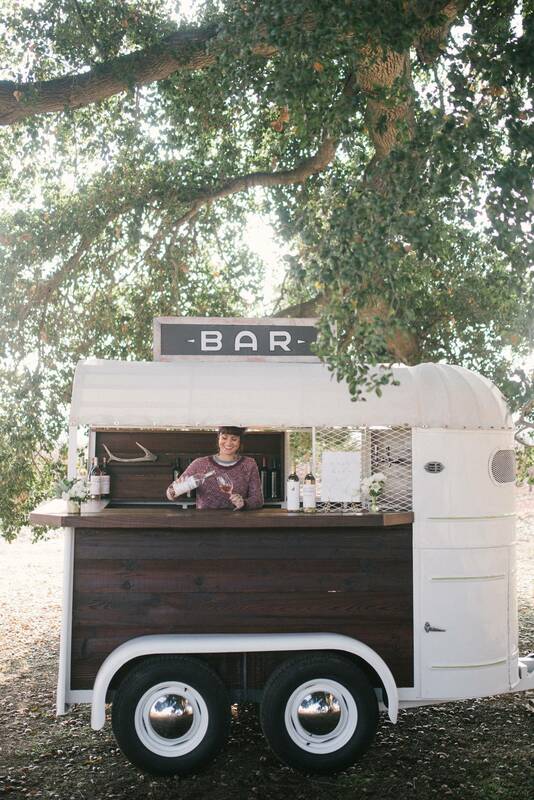 We brought in Tinker Tin's bar trailer to add to the rustic vibe where the wine was being poured from." "I loved the natural edge walnut table wood I was able to work with. So to still show off the beauty of it but also add some softness and texture I thought a light and airy runner and some soft white floral arrangements would be the perfect touch. They not only enhanced the table but they also popped with their contrasting colors. Since it was supposed to portray an intimate gathering, that may not include servers, I thought a family style setting of nibbles and desserts would be the perfect finishing touch to the table."